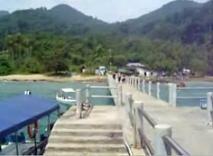 Chukai is the main town of the south of Terengganu in the district of Kemaman. It is the old Malay language for taxes. The new spelling is now cukai. 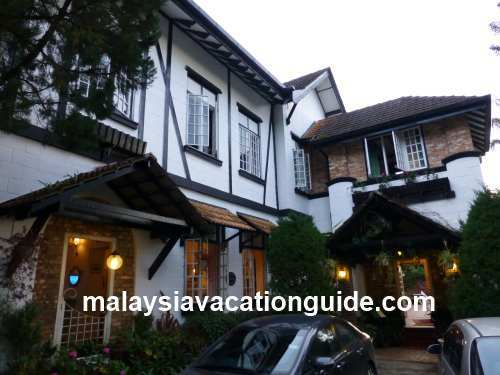 In the olden days, this town thrived because it is located near the estuary of Kemaman River where taxes were imposed on the riverine traffic. 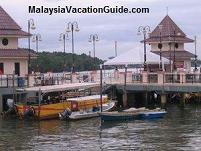 The waterfront at the town facing the Kemaman River. The development of oil refinery in Kerteh has also helped to push this town as a commercial centre in this area. 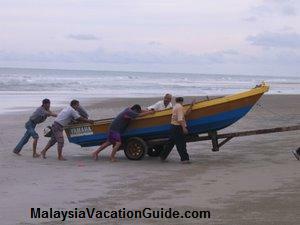 This town is located approximately 25 km north of Cherating and is the first town that you will encounter in Terengganu if you travel from Kuantan. If you are on your way to Kuala Terengganu or coming back from Terengganu to Kuantan, remember to drop by this town for a meal. Taking a short break for your meal will help to refresh you after hours of driving on the road. 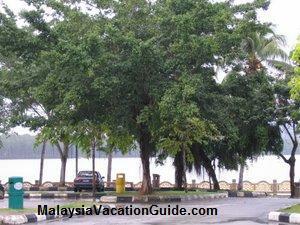 As you come to the town, follow the direction that goes towards the Kemaman River and you will reach some rows of shops by the estuary of the river. 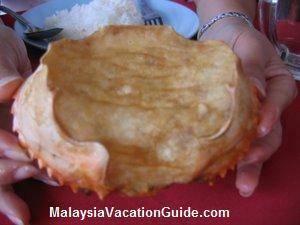 The specialty of the shops here are stuffed crab or baked crab. Due to its popularity, almost all the Chinese restaurants here serve this delicacy though they varied in taste and texture. There are two popular shops that are usually packed with customers during the peak hours. 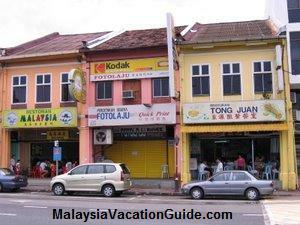 They are Restoran Tong Juan and Restoran Malaysia. The delicious stuffed crab from Tong Juan Restaurant. The food that you can try here include the stuffed crab, the tiger prawns, steam or fried fish, bean curb, seaweed soup, calamari and a variety of other Chinese dishes. 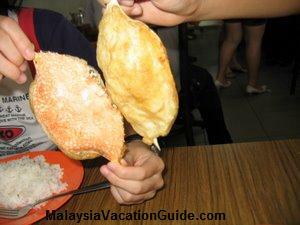 The stuffed crab is sold by piece and cost RM7/crab. Instead of taking a long time to crack to get a taste of the crab, the stuffed crab basically consists of crab meat that has been taken out and stuffed into an empty shell which is then cooked. Other vegetable dishes are priced in the region of RM8-RM10 per dish. Fish and lobster are more expensive and follow the seasonal market price. Typical price of lobster is RM90/kg. The typical Chinese seaweed soup to be taken together with rice. 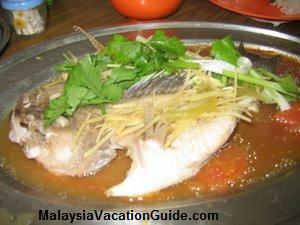 The fresh and tasty steam fish. The row of shops in Chukai, Kemaman. Notice the two popular restaurants that are located within the same row. 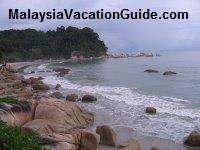 If you are coming from Kuantan, follow the scenic highway Route 3 and go towards the direction of Kemaman. 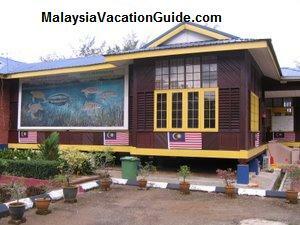 Once you are near Kemaman, look for the signboard to Chukai and follow the route. You will not miss it. Saturdays to Thursdays : 11.30am to 3.30pm, 6pm to 10pm.